Our range of products include brochure stand and led crystal frame. Due to our honest business standards and transparent deals, we are steadily making our way to the platform of success by offering a superior grade range of Brochure Stand. The offered stand is manufactured with the help of stainless steel rod and cutting-edge machines by our trained professionals. Our offered stand is made available in different shapes and sizes for our clients to choose from. It is used for stacking brochure in various places. While climbing on the success ladder, it has become increasingly important for us to deliver precisely tested and high grade assortment of LED Crystal Frame. The offered frame is manufactured using supreme grade material and advanced machines under the visionary guidance of trained professionals. 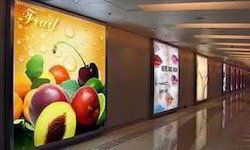 This frame is used for advertising purpose and displaying information in various commercial places. Clients can avail this frame from us at pocket friendly price. 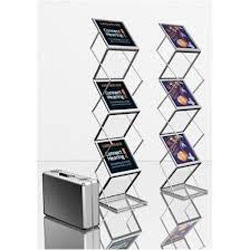 Looking for “Crystal Frame And Brochure Stand”?